So how would you expect a French supermarket to differ from your average suburban Safeway? Some of my expectations were right on the money. Others, not so much. The French cheese selection was pretty phenomenal–got that one right. Ditto, the wine department. The variety there dwarves the pretty meager selection of soft drinks–the reverse of what you’d find in a U.S. supermarket. But the prominence of Red Bull? That was unexpected, though maybe it shouldn’t have been. I didn’t realize that it was a European (Austrian) company. Slurping up sweet, super-caffeinated soft drinks seems so quintessentially American. The French don’t have Americans’ mania for low-fat, low calorie versions of everything. Lots of yogurt, for example. But in that whole big dairy case, there were only two low-cal fruit-flavored versions. 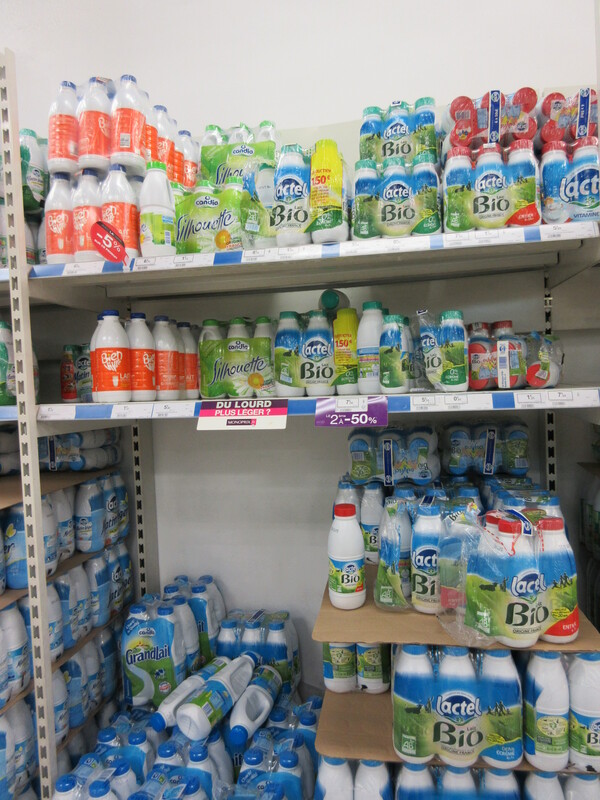 Plenty of “cane-sweetened” ones and lots of plain–aka.”natural”–yogurts-plus a smattering of Greek style yogurts. But no flavored Greek yogurts with low-cal sweeteners. I miss my Chobani! It was surprisingly difficult to locate the milk in the store. That’s because the packaging in France makes it look like a cleaning product and it isn’t located anywhere near a refrigerated case. Prepared entrees are more exotic than in the U.S. That “Lapin” in the lower corner…it’s rabbit. 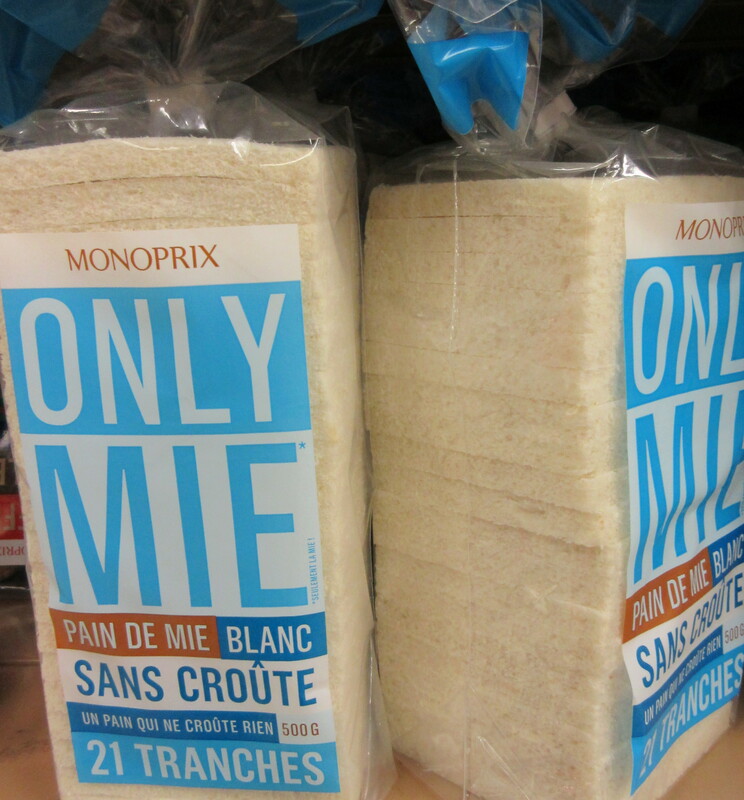 And if you think Americans demand convenience, check this out: The French can buy their bread with the crusts already trimmed off! And finally, the French are known for their design esthetic, right? But neon-colored toilet paper? Really? This weekend I stopped being a tourist. Well, not entirely—I still can’t speak Spanish and continue to gawk at 14th century buildings. But I did spend most of the weekend more or less as I would have in Baltimore or Arlington. First, I did the laundry. 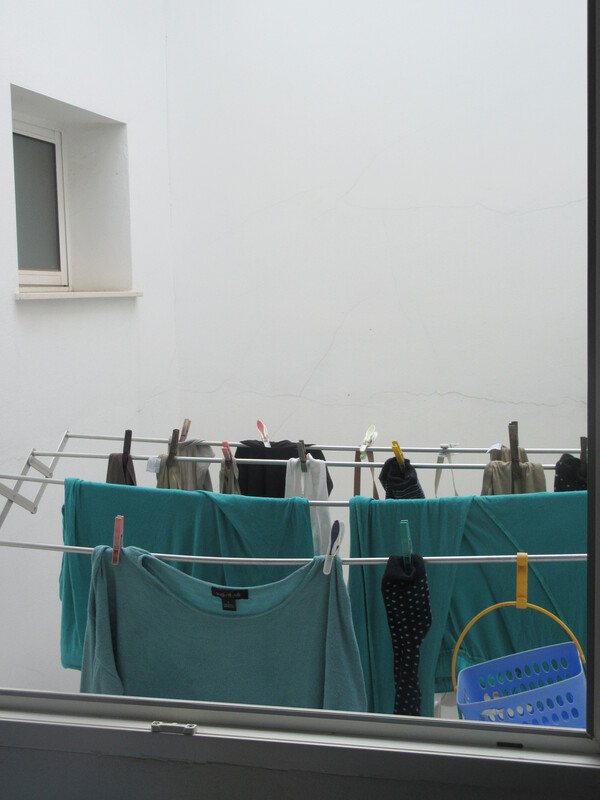 But instead of shuttling the wet clothing from one modern appliance to another, I dried them the Spanish way: hanging them on an expandable rack attached to one of my apartment windows. I clipped my clean clothing to the rack, which extends out over a sort of interior courtyard, silently praying that nothing fell. Four stories down, the interior space seemed to contain just some mechanical equipment, a few buckets and the like. Besides, I had no earthly idea how to get there, and I presumed it was accessed only by the first floor apartment. Or perhaps even the neighboring building. Either way, I didn’t relish trying to recover any escaped undies from strangers I couldn’t communicate with. Electricity is expensive in Spain, so almost no one has a clothes dryer. Most households have washing machines, though—often located in the kitchen. Enjoying an average of more than 300 sunny days a year, Spaniards let Mother Nature do the job for free. Domestic adventure, number two: Grocery shopping. Flavorful cured Spanish ham and cheese with fresh bread makes a great supper, but I was getting a bit tired of it. Time to see what it’s like to have to find the specific ingredients I need to make a real meal. 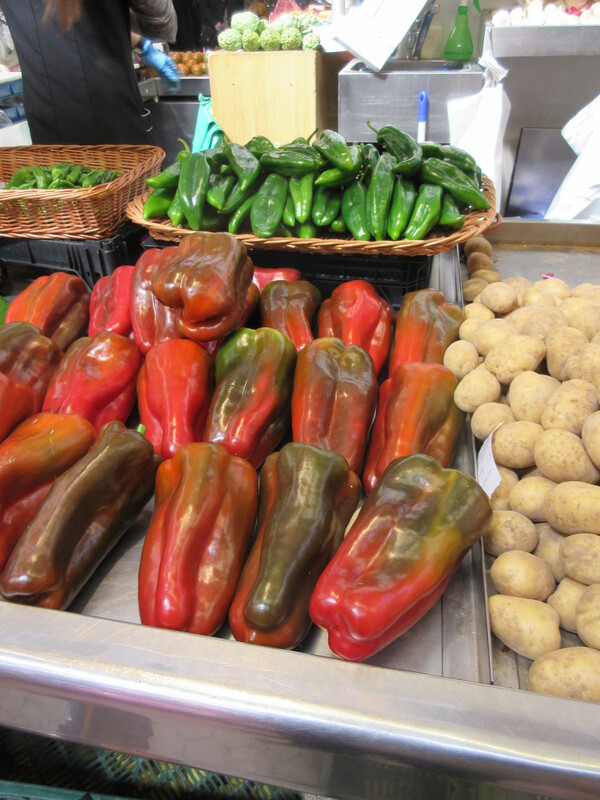 Fortunately, the Mercado Central is less than two blocks away from the apartment. Reportedly the largest market in Europe, it’s a treasure trove of fruits, vegetables, nuts, dried beans and lentils, meat, poultry and seafood. 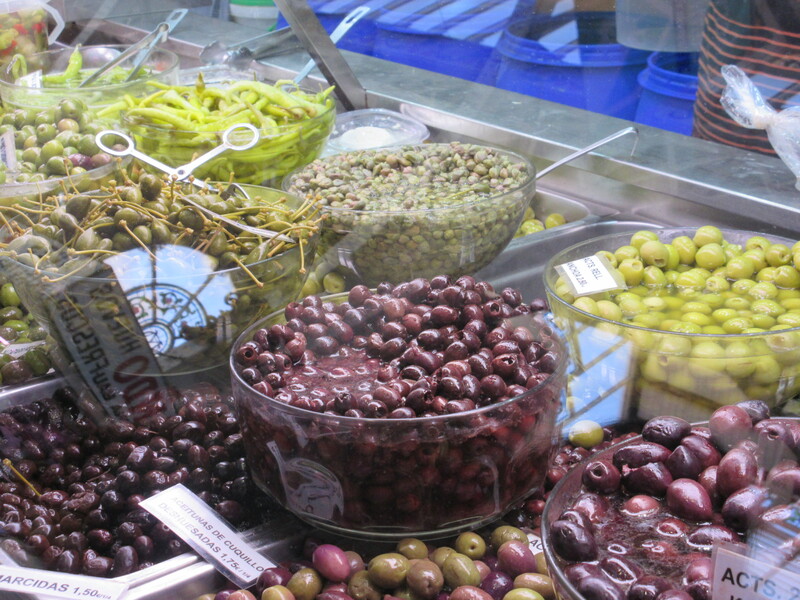 Not to mention olive oils, breads and pastries, wine and cheese. (More on this marvelous market coming later.) But I’m a from-the-recipe cook and don’t often wing it with whatever I find in the market. Plus the cooking equipment in the apartment is minimal—one small and one largish pot, what appears to be a pressure cooker minus the top, and a small skillet or two. So I decided on soup. I knew the market had bacalao, the Spanish name for the salted codfish that I recalled being sold in a small wooden box at Rhode Island grocery stores when I was a child. I’d only once found it in the D.C. area, using it to make a Portuguese fish and vegetable soup. I figured I could find a similar recipe online. The cod wasn’t too pricey at about 6€ for a bit more than half a kilo. But the vegetables were an unbelievable bargain. Five carrots, two stalks of celery, two kilos of tomatoes, a clove of garlic, a couple of fresh onions. All for less than 4€ (about $4.50 at today’s exchange rate). Wow, at a farmers’ market in Baltimore or DC, that would have run me well over $10, and I couldn’t have bought just 2 stalks of celery. (The lady at the booth just breaks them off and breaks them in half to fit nicely in a bag.) Two more euros at another “exotic” produce booth where I bought a fresh fennel bulb, and another euro for a loaf of crusty bread and I was set. But the fruit looked too good to pass up. Ditto the piles of artichokes. 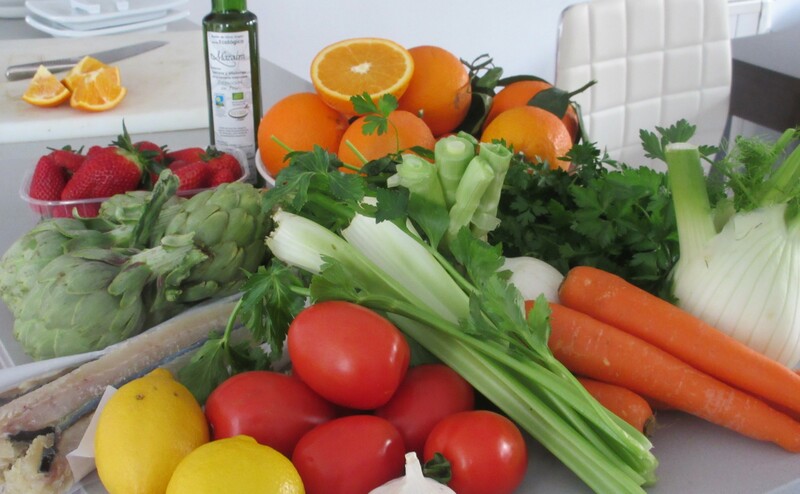 So, I bought two kilos of sweet oranges (1,5€), a big box of strawberries ( another 1.5€) and five small artichokes (1€!) . The grand total for my haul: 15€. Now, with the soup simmering on the stove, I’m ready for the last order of business this weekend: Catching up on Downton Abbey. I’d left the U.S. after the first four episodes of this season and hadn’t had the time (or inclination, really) to find out how to watch the show online from Europe. I knew that Amazon, Netflix, Hulu and other services weren’t available in Europe. But a little googling, $55 for a year-long subscription to a VPN (virtual private network), which makes it look as if my computer is in the U.S. and I was streaming Lady Mary’s latest escapades. Four episodes later, and I was on to The Good Wife. No more English language TV withdrawal pangs for me, and the retired life continues to look sweeter and sweeter!